← Our last days in Turkey…. 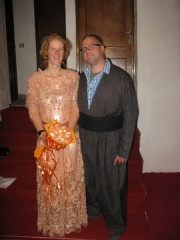 Finally a post for those of who you who have been eagerly awaiting stories about our Iranian adventures. 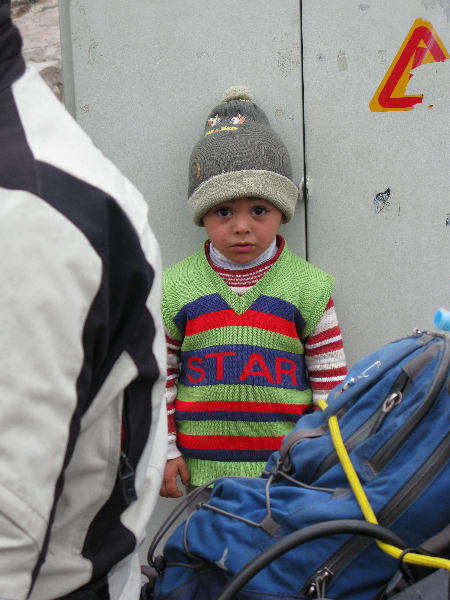 Last few weeks we purposely did not update our blog, due to possible political implications. Next to that the painfully slow and heavily restricted internet was a hurdle as well. We do really enjoy noticing that a lot of people read our blog and we love reading all your comments! Thanks for traveling along with us! So, to find out how dangerous Iran really is, please read on. 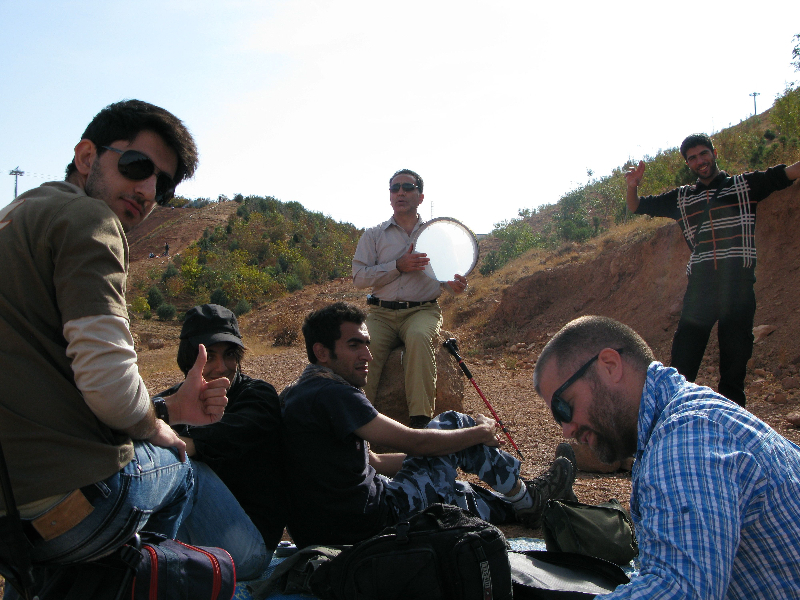 After about 10.000 km on our tripteller, we finally reached the border of the Persian empire. Immediately we were beamed back 621 years and three months and we lost 1.5 hours. All due to the fact that 1391 years have passed since the birth of Mohammed, Iran uses a more precise solar calendar, and their new year starts in spring, ‘our’ March 21th. The alphabet also changed to the Arabic one and the numbers are written Persian style… This makes checking the dates on our border forms quite a challenge, if not impossible! 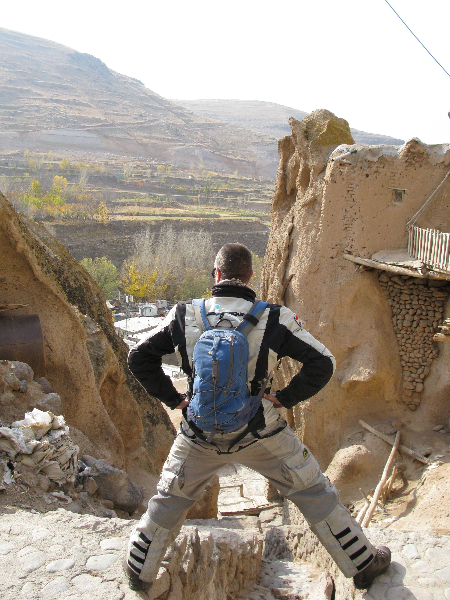 The border crossing at Bazargan, in the Northeast of Iran, was a bit of a hassle. However, we had read about it before (see excellent post by Ian on the HUBB), so we were prepared and managed to get across without paying any scam money. We got our bike insurance (sigorta) arranged a just after customs for $25 per bike for 45 days. At the doviz/exchange office we received an exchange rate of 38.000 Rials for €1, much higher than the official bank rates of 16.000 Rials! Recently, the Rial has experienced a huge drop in value due to the US embargo on oil export. Good for foreigners exchanging money, but devastating for the Iranian economy. 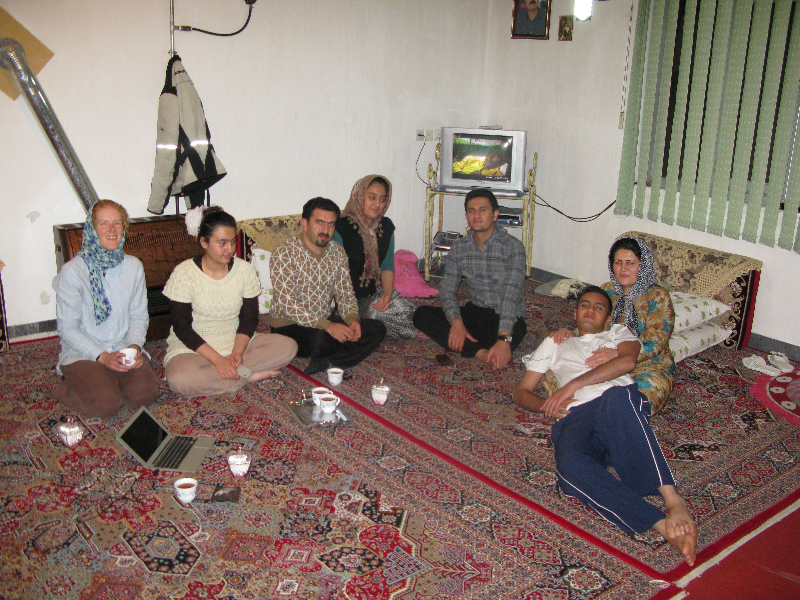 We heard about Iranian hospitality from other travelers, but we had never imagined it would be this overwhelming. 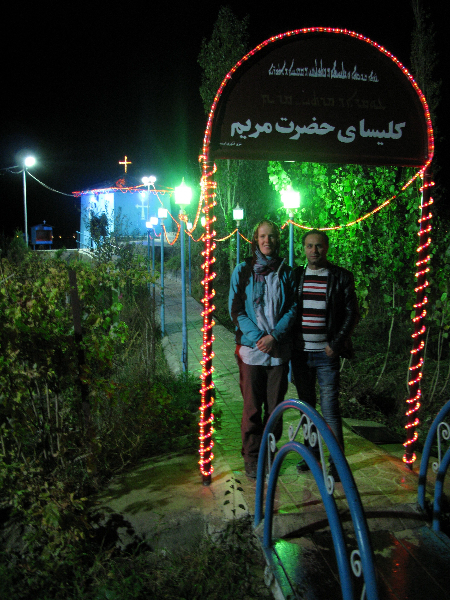 Our first stop in Iran was Marand, a small village before the larger city of Tabriz. It started to get dark and we were looking for a place to spend the night. We found a small restaurant and asked if it was possible to pitch our tent somewhere. Before we knew it we were seated in the restaurant, discussing politics with a group of Iranian guys over delicious barley soup, chicken kebab and bread. Our sleeping bags were installed in a quiet corner of the restaurant and after all guests left, we had a perfect place to sleep. We soon found out this was not a coincidence. 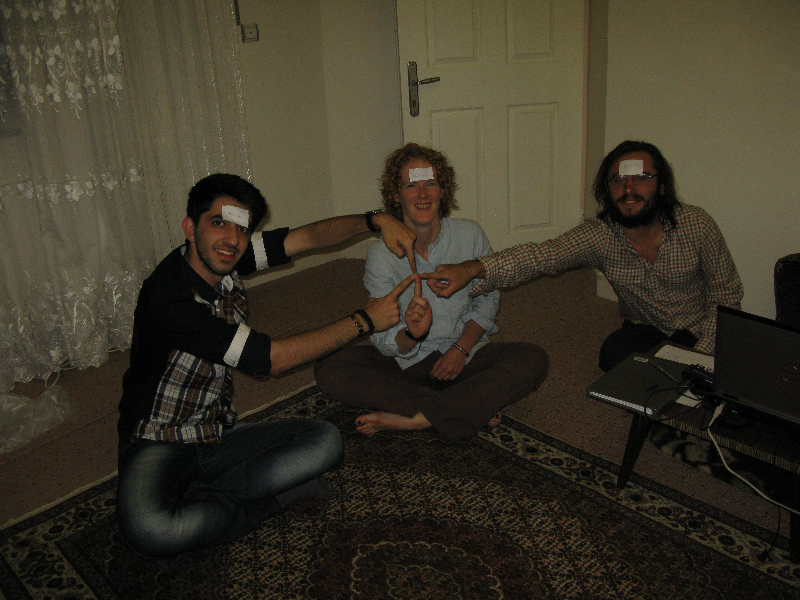 Apart from numerous spontaneous invitations for sleeping or eating, we also used an internet community to connect with people, which worked extremely well and let us experience Iran in fascinating ways. The first morning in Iran was cold, fortunately it was only a short, easy trip to Tabriz (2 million inhabitants). 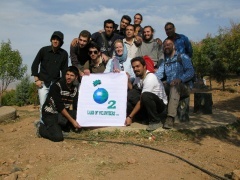 Here we met a group of students, who invited us to join them for a NGO event to clean the city’s mountain. So after a late night playing games with a group of Iranians, an Italian, a Czech and a Slovakian girl, we woke up early and hiked up the local mountain. Since it was a Friday (Iranian weekend) the whole city seemed to be here, picnicking, working out (even some people on mountainbikes) and .. throwing away garbage. 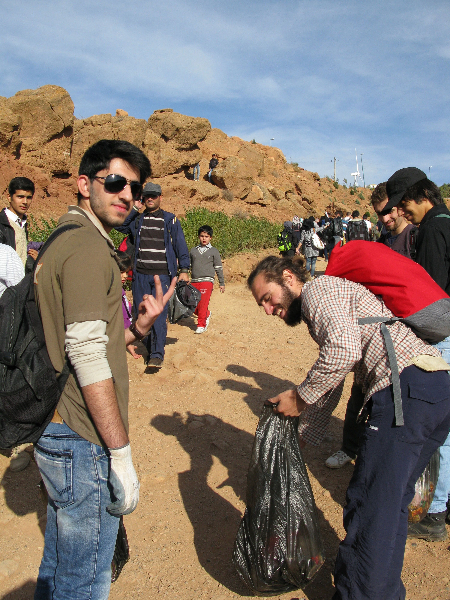 We joined a large group of young Iranians concerned with the environment, who would like to set the right example by picking up all the plastic bags and bottles. It was a lot of fun, joking around, chatting and of course finishing with a picnic with local honey, cheese, halva (made from sesame flour and sugar), bread, dates, walnuts, tea etc. 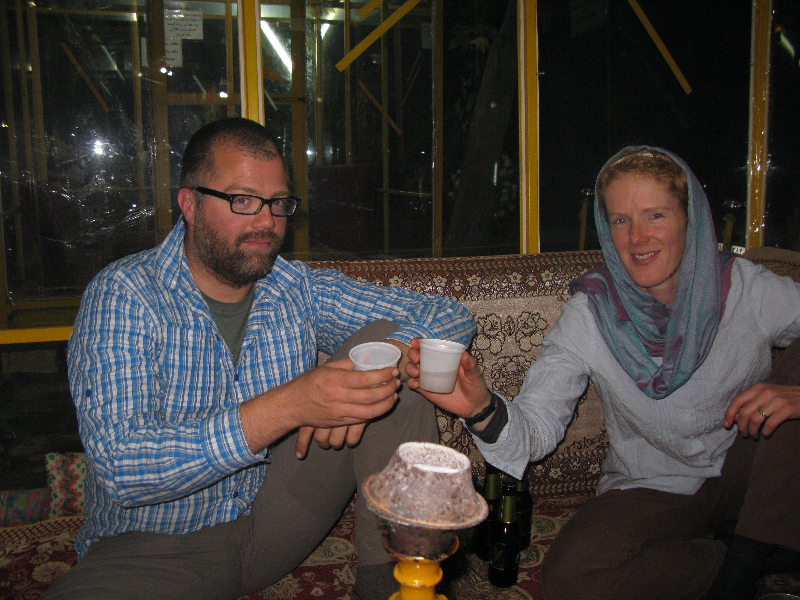 In the evening we walked through El Goli park, clearly the place to be, and visited a teahouse to experience the Iranian version of the waterpipe (qalyan/shisha). 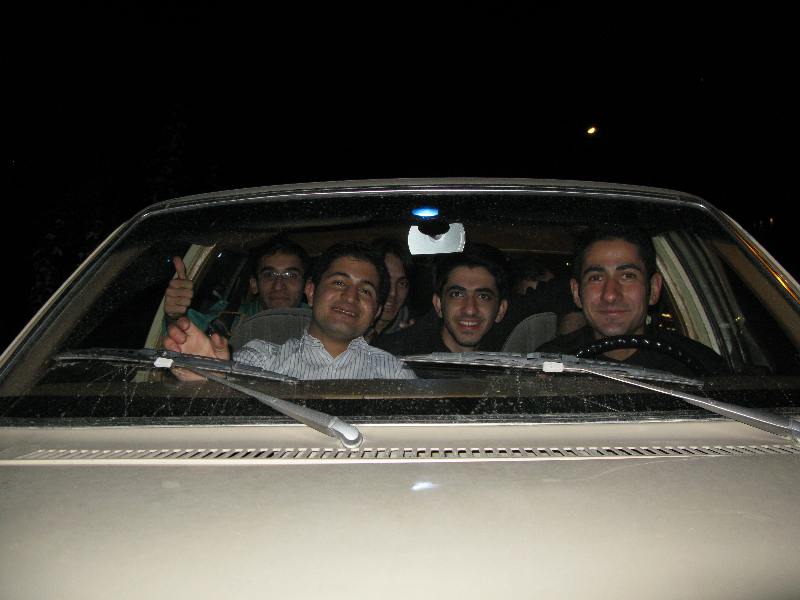 We ended the day by a joyride with eight people in a Chevrolet through the crazy Iranian city traffic. The next town on our list was Urmia. In Turkey we received contact details from someone there, who would be able to help us out with some motorbike maintenance. 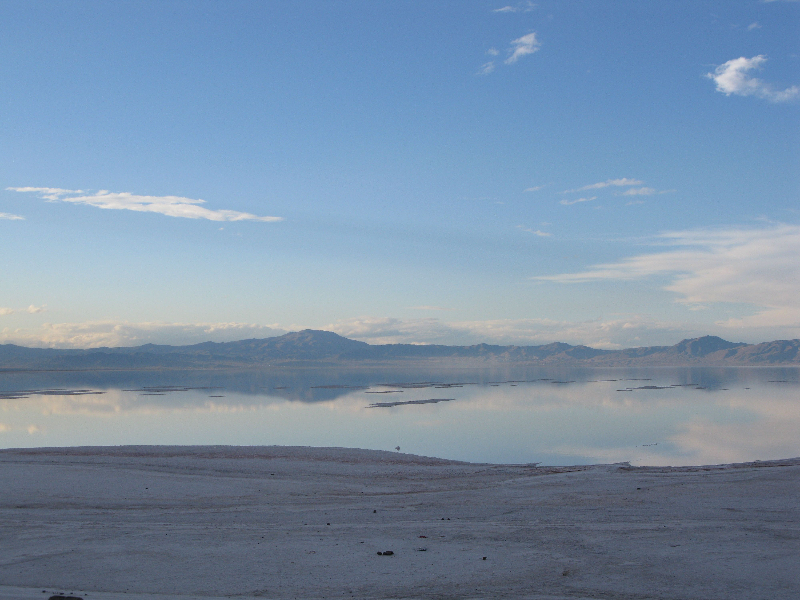 Again it was a cold ride, part of it in the rain and with showers from passing trucks… Nevertheless, salt lake Urmia was a beautiful sight, which had to be captured by camera. 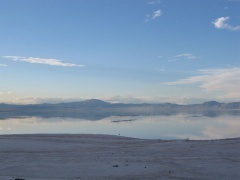 Blinded by the beauty of the lake, I totally missed the army base just next to our parking spot… ouch. Fortunately, the guard understood we had no bad intentions and let us go without any fuss. 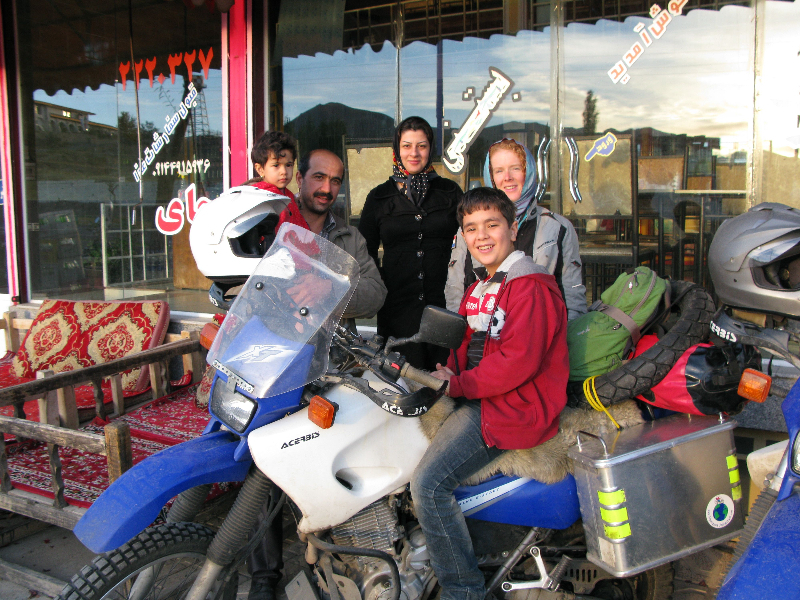 Urmia is another big city (1 million inhabitants) and we parked in the city center to find out where to go when a large crowd started gathering around us to take a look at these strangers on these big bikes. Time to move on! 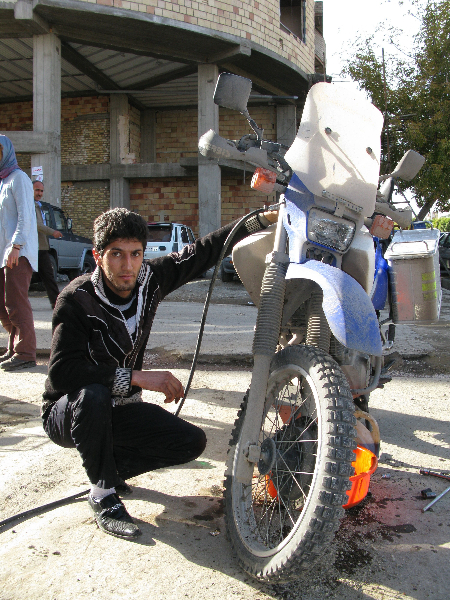 Afshin, the local contact, turns out to be a great guy, he and his employee Asgir helped us change the oil of the motorbikes and made them look new again by sending them to the carwash. 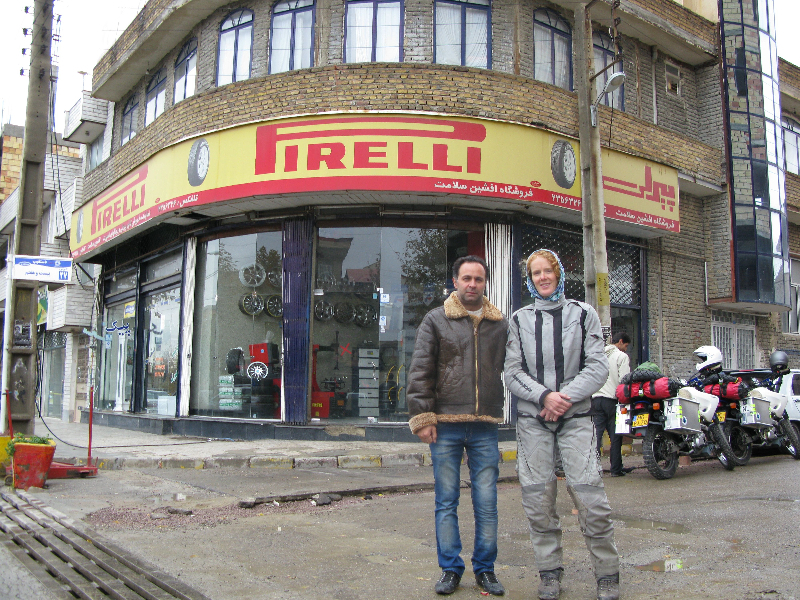 Although he was really busy with his successful tire business, he was adamant to show us around Urmia in the evenings. 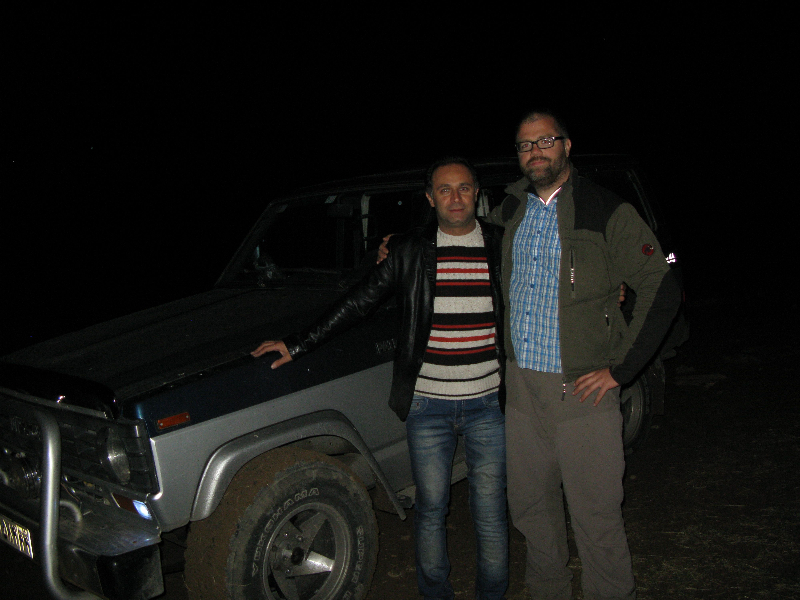 He used to drive in rallies and he showed us his off-road skills in his Nissan patrol. After consent of the local army, he took us to the water reservoir above Urmia, where the original road now just ends in the water. 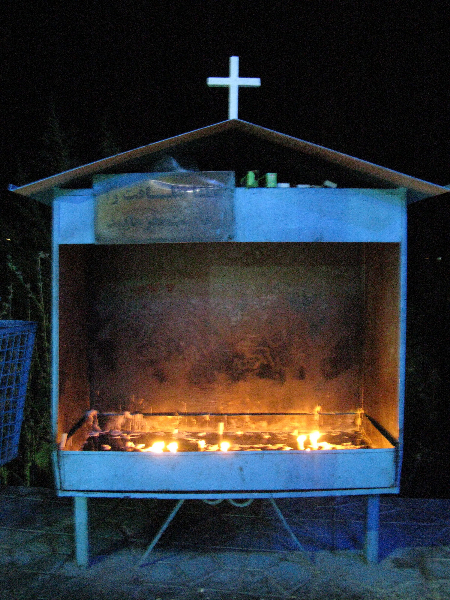 We visited the smallest Christian church ever, he showed us some of Urmia’s nice, green parks along the river, and took us for dinner and some shisha together with his friend Aria (also a motorbike fanatic). All in all we had a great time and he made us promise that we will return to Urmia in spring time to properly enjoy the beauty of the surroundings and, who knows, join him for a paraglide! This entry was posted in Asia, Countries, Iran. Bookmark the permalink. 10 Responses to Go to Iran! 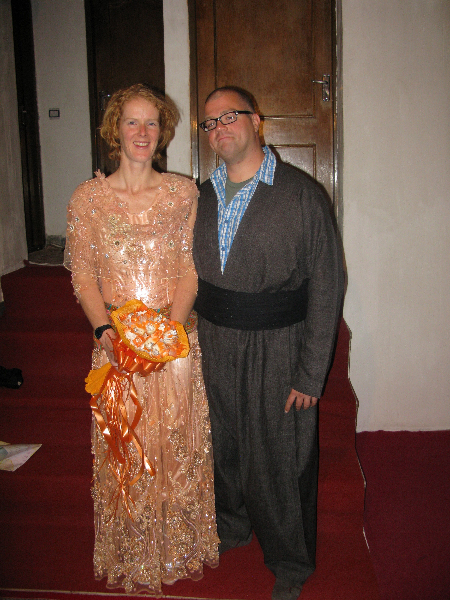 ja Marlieke en Paul ‘t is gaaf in Kurdish kleding met ‘n boeket, hier (met ons) de bruid en bruidegom te zijn. Met foto’s is ‘t een beetje in te leven hoe ‘t jullie vergaat. Geweldig hoe de gastvrijheid naar jullie toegeschoven wordt. De openheid straalt van jullie af, en toch op jullie hoeden zijn, heel goed. Thanks for this articles about Iran, you are helping us to change the image of this country to world. Appreciated! 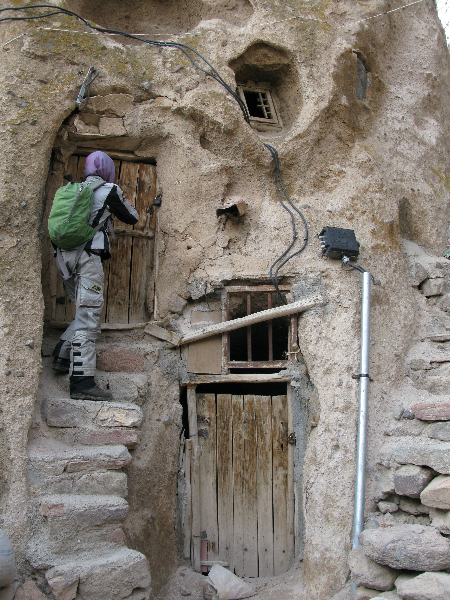 When did you go to Kandovan? maar fijn dat jullie er van kunnen genieten. I hope that your trip being a beautiful experiment for you. Iran is a ancient and beautiful country. I think it’s worthy to see this cities. Jullie hadden nooit kunnen dromen dat je overal zo ontvangen zou worden. Geweldig! Wat zullen jullie genieten en nooit uitverteld kunnen komen over wat jullie allemaal gezien en meegemaakt hebben!!! GAAF!!! i saw you in iran-kerman-shahzade garden. I want you write about us and pick our photo in your site. lieve twee wat gezellig wat te lezen had al een paar keer gekeken , wat een ervaringen doen jullie op en wat zijn de mensen gastvrij en wat bewegen jullie daar gemakkelijk tussen zo voor het oog . paul is heel wat kilootjes kwijt heb ik het idee of vergis ik mij ? Wat een supergave tijd hadden jullie in Iran! Van zoveel gastvrijheid kunnen wij in Nederland nog wat leren. 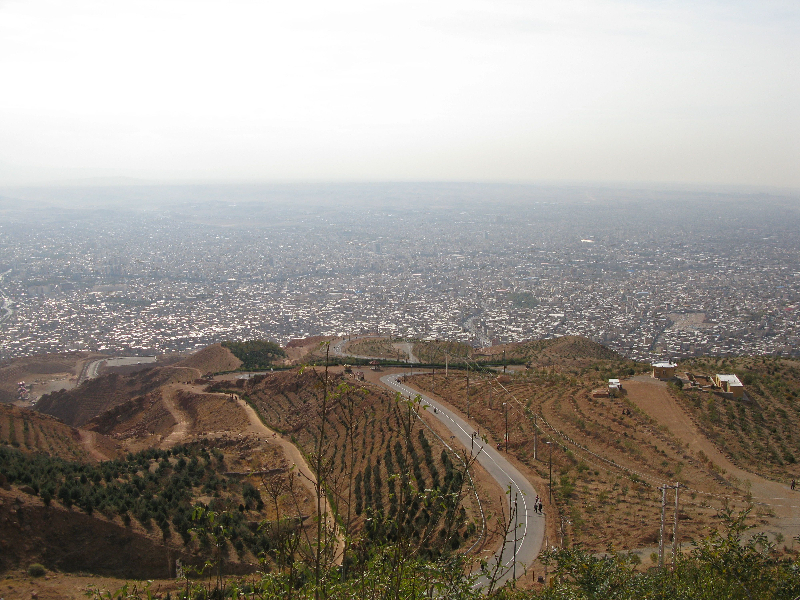 We zetten Iran op onze bucket list! Wat fijn weer zo’n prachtig verhaal van jullie. Via skype en sms wisten wij natuurlijk al wel wat van deze verhalen maar als het zo uitgebreid staat beschreven is het heerlijk sfeerproeven! Zo grappig om te zien dat jullie overal op de foto staan met onbekenden (voor ons) alsof jullie goede vrienden of oude bekenden zijn…. Fijn dat jullie een warm welkom krijgen in het land van ‘fatamorgana’. Luce zegt: bedankt tante Marlieke en ome Paul voor het super hartverwarmende verjaardagskado! Wij houden de berichten weer goed in de gaten! Ps ik zag eerst de foto van de verkleedpartij en las toen pas het verhaal…. Moet toegeven dat ik heel even dacht: zijn ze dan toch getr….zonder ons … Haha!